Subaru has been hit with engine failure lawsuits, massive recalls, they had a fuel-mileage falsification scandal, employee suicides, and a plant shut down late last year that has brought the Japanese automaker to its knees. Quality has been questioned at their Gunma plant in Japan and they’ve had a top management shakeup in Japan. As a result of all these issues, Subaru Corp will revise its "Quality Policy" on April 1, 2019. This should have been done years ago, but what does it mean for customers now? Customer confidence has been shaken with all the recent problems at Subaru Corporation, especially in Japan. In order to restore faith in the company, the Japanese automaker has announced they have a new "Quality Policy" in order to realize "quality reform" which is one of the themes of the medium-term management vision "STEP" announced in July 2018. They have had a "Quality Policy” but felt it needed to be revised since it's been in place for about a quarter century. We value quality above all else and respond to our customers' trust. 1. We will deliver products that can be used with confidence for a long time. 2. We will listen to customers' voices constantly and use them for products and services. 3. We will comply with laws, social norms and company rules and be trusted by customers work. The Japanese automaker will attempt to develop a “culture of quality” by using the new quality policy as a daily guide with all employees, and as a guideline for practicing the words "quality first" with ongoing promotion at their Gunma plant. According to a report from the Harvard Business Review, although figures will vary according to industry and company, a company with a highly developed culture of quality spends, on average, $350 million less annually fixing mistakes than a company with a poorly developed one. And keeping customers happy is a key for any company because one unhappy customer will tell everyone they know and will use social media to air grievances about a company and its products. 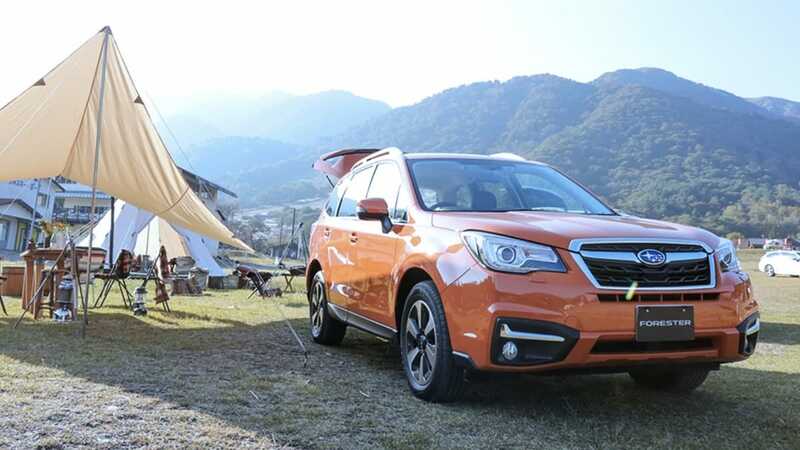 Subaru manufactures the newly-revised 2019 Subaru Forester SUV, second-generation Crosstrek SUV, WRX and WRX STI performance cars, and BRZ sport coupe in Japan. Subaru has loyal customers, but they know they need to keep them loyal by producing all-wheel-drive SUVs and sports cars that won’t be in the shop to fix mistakes. While it’s never too late, they should have developed a new “culture of quality” years ago. If Subaru management is serious it would be in their best interest to study the teachings of Dr. W. E. Deming regarding quality control. Most Japanese companies have adopted Deming's methods, transforming their once shoddy products into some of the best. In Japan, there is the Deming Prize which Subaru should strive to be awarded. Also: It's amazing that Consumer Reports has been rating Subarus at the top, for years, without mentioning the record number of class action lawsuits, and apparently not even reading the accounts of unhappy customers. For any sort of customer confidence, going forward, Consumer Reports ought to revise its "Quality" process as well. Does this mean they’ll finally fix my jerky cvt transmission without telling me they can’t duplicate the problem? Too late. My Subaru is crap. Curse the day I leased it. Curse it every day I an in it. Never again. My 2011 Subaru outback has had transmission issues since 40,000 miles. They never could get the code to come up, and would say it is fine. The 2011 Outback has known issues that are just what I have had issues with, and have started for 100,000 miles. I could not hard break or it would stall out, or feel like it was going to. I would sit at a traffic light and the car would almost bottom out and feel like it was going to cut off. I would drive faster when I saw a yellow light, not because I didn't wanted to sit at a light, but because my car might die if I hit the breaks. Now my Outback that we did every service to on time to keep it going for years and years has a bad transmission with codes showing, but nothing can be done besides us shell out close to $8000.00 to fix it. Our goal was to drive this to 300,000 miles, or at least 200,000! Now I find myself looking for a new car and telling anyone who asks what is wrong with mine to NOT buy a Subaru. I have yet to figure out what I want to replace it with because honestly I loved my car, minus I couldn't hit the breaks hard. Nothing else so far that I have looked at has made me want to spend money I didn't plan to. I refuse to go look at any Subaru though. If Subaru management is serious it would be in their best interest to study the teachings of Dr. W. E. Deming, regarding quality control. Most Japanese companies have adopted Deming's methods, transforming their once shoddy products into some of the best. In Japan, there is the Deming Prize which Subaru should strive to be awarded. Also: It's amazing that Consumer Reports has been rating Subarus at the top, for years, without mentioning the record number of class action lawsuits, and apparently not even reading the accounts of unhappy customers.